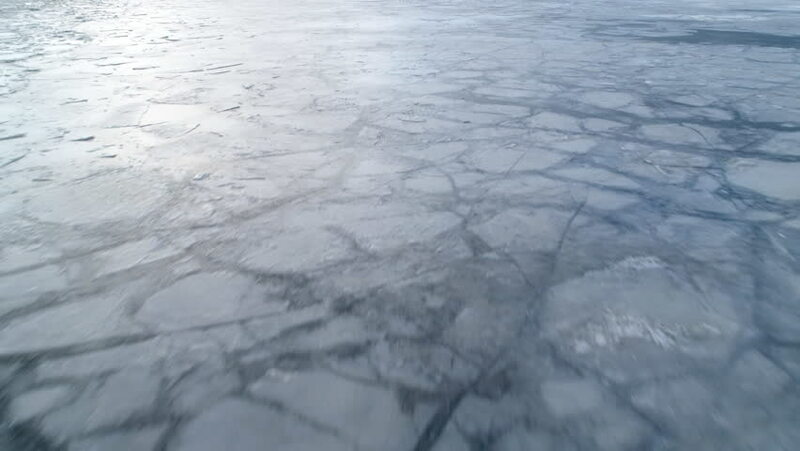 Aerial drone shot of frozen sea water surface in arctic north during cold winter weather in Scandinavia. Flying over ice floes frozen together and ice cracks between them. Natural pattern by nature. hd00:22Many fish are in the water.Fish waiting to eat the bait that people are throwing.